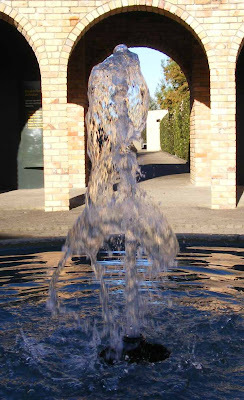 This fountain was stopped in time by the camera which showed the beauty of stalled photography. Perhaps if our eyes could allow us to see such objects we might admire the world's beauty more? Often things happen too fast for our eyes to see. (click on the photo to enlarge) . This is a nice photo. I also like the three kittens. AWESome shot , and very true words !